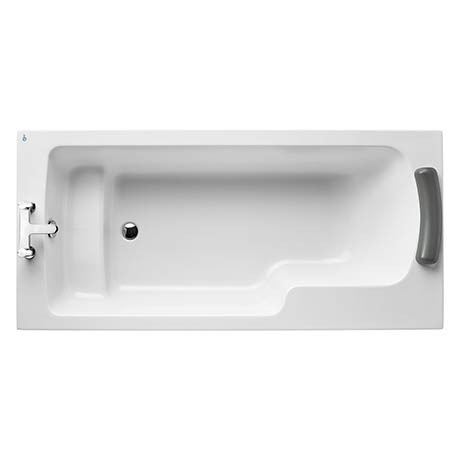 The Concept Freedom Idealform Plus+ Shower Bath is the perfect bath for those with problems with accessibility and manoeuvrability. It's lowered height makes getting in and out of the bath abit easier whilst the reinforced ledge offers multiple functional uses. Idealform Plus+ provides all the benefits of Idealform, but with double the reinforcement for peace of mind. The thicker encapsulated baseboard and unique leg set provides a supremely sturdy core, whilst the acrylic outer shell is luxuriously glossy, smooth to touch and resistant to wear and tear. Please note: Bath panels, head rest and tap not included.